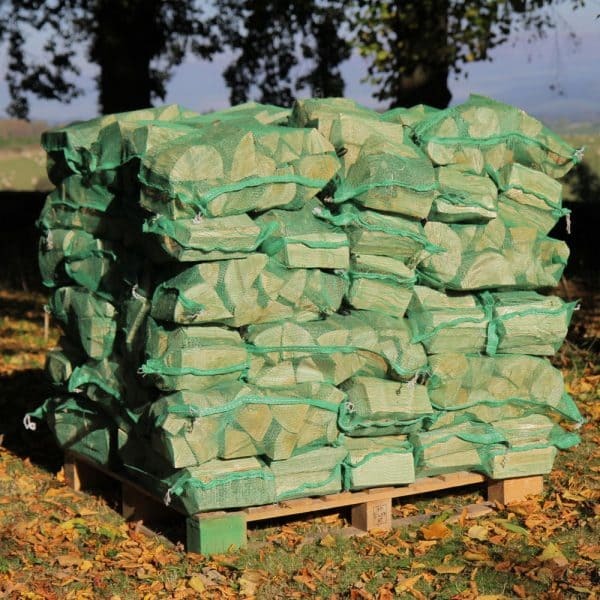 60 netted bags, each containing an average of 10 to 12 dry hardwood logs. The small bags provide a clean and easy handling solution. Delivered on a recycled pallet.